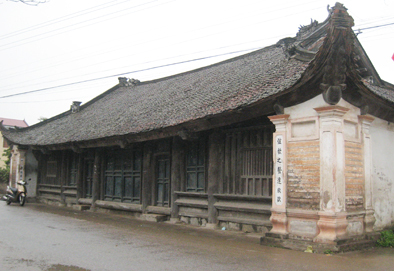 Published: 04:30 Saturday - June 23, 2012 Located in Gio Mai Commune, Gio Linh District, Quang Tri Province, Vietnam, Mai Xá village is not only famous for its historical relic but also possessed of traditional fondness for learning on over the world. Mai Xa Chanh Communal House has built a about five centuries, by ancient architecture, type the chest Central Central, length 12 m, width 8.2 m. Above the roof is decorated home unicorn, the phoenix bird art covered with plaster and porcelain pieces to pair... Front door mounted system designed wooden "lowering the upper room. Previous projects have money to build a peace room 5m long, 3m high, is mounted between the words "Dragon", "Horse" porcelain flowers. Average room has 4 outer square head, each surface is 60cm. Square on the head-mounted lantern square, each side high 80 cm. Within the family is divided into two parts. Mai Xá's bún hến is the most famous noodle dish appointment which is a dish is made from small clam, a specialty dish of the village. Small clam brackish water species, living in concentrated Thach Han River. 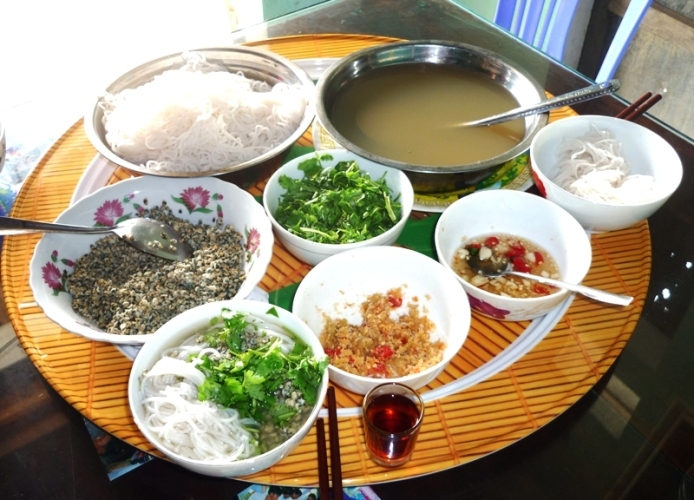 Beside of small clam noodles, học cake is a specialty of the village. This is the type of bread made from new types of plastic sticky fragrant, often only be made on New Year. At first, people roasted sticky rice mixed with sugar provide complete, ginger and peanuts, for the wood frame (size about 12 x 30 cm) and use small wood close to the wheel hard to make. Mai Xa ancient village, the mark of historical relic, Cu Da ancient village- an archaic beauty. 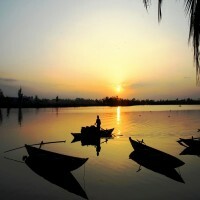 You also can visit our sites: Entertainment, National Parks, Villages, Nature & Adventure.